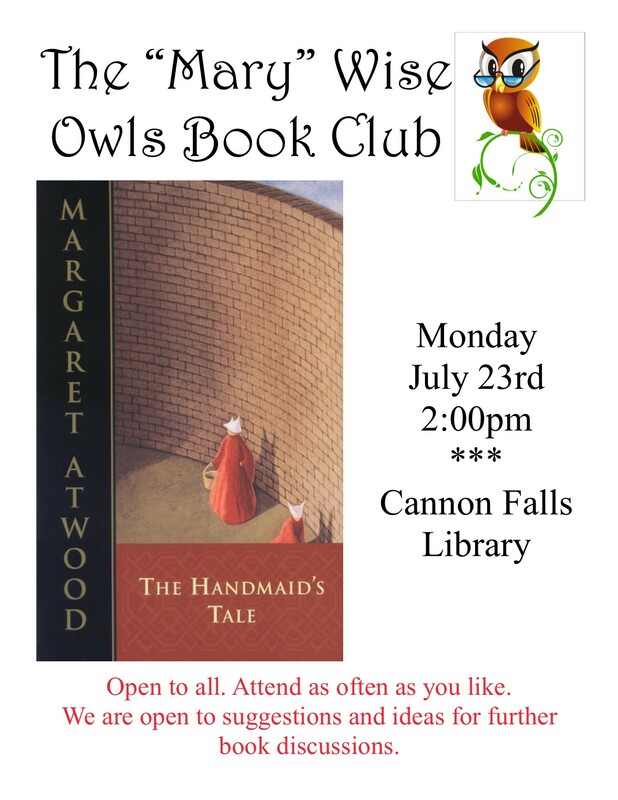 Join the Mary Wise Owls Book Club in reading this months selection The Handmaid’s Tale by Margaret Atwood. 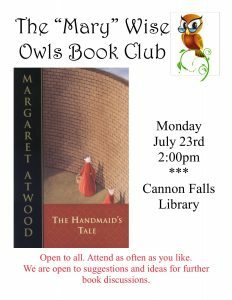 Book discussion will take place on Mon., July 23rd, at 2 pm. Copies of the book are available at the library. Book Club is open to all, come as often as you would like.